This popular original magic wallet features four tight outside pockets (2 on each side), and a magic receipt/bill holder. 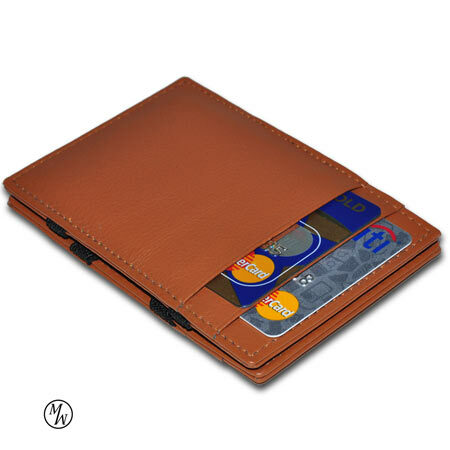 The outside and inside leathers of this magic wallet are a nice tan leather color. This 100% leather magic wallet is durable and stands out. We use durable elastic straps for the magic wallet mechanism.